Metal sheds are useful for more than just storage. There are so many ways to get creative when it comes to building a steel building that can serve multiple purposes. Here are a few of the ways our clients have used their metal buildings for uses other than storage. #1. Metal Workshops. In addition to storing your tools, a metal shed can be used as your construction workshop. Whether you’re a builder of knick-knacks and furniture, or you need a place to fix up your hot rod, a small metal building is just the ticket. Steel is a great building material for this purpose as well, since it’s rust-, fire-, and pest-resistant. 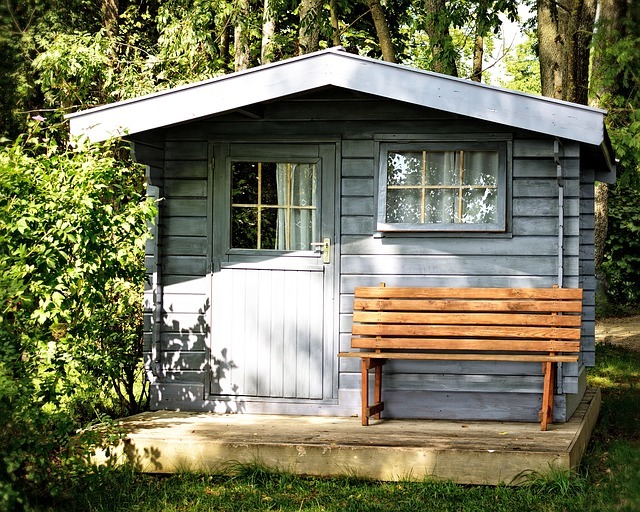 Your metal workshop shed is sure to last you quite a long time! #2. Art Studios. A metal building is the perfect solution for your art studio. Just like builders need a place to store and work on their pieces, as an artist, you likely could use a private place to store your paintbrushes, sculpting tools, canvases, etc. and to work on your art without interruption. A steel art studio has a great industrial look and can even be customized to your personal artistic tastes, making it a truly unique place to gain inspiration and execute your art projects. #3. Man Caves & She Sheds. Unwind after a long week in the privacy of your own backyard “cave”, with all the comforts of home! You can install plumbing and insulation, and decorate the inside of your space however you like. The customization options for our metal sheds are endless and a great place to invite your friends over for drinks a relaxaction. #4. Playhouses. Your kids will love hanging out in their backyard playhouse, and steel buildings are designed to weather the elements, so they’ll be protected come rain or shine! #5. Greenhouses. Now you can not only have a place to store your gardening tools. With the right upfitting, you can have your very own indoor garden as well. Metal sheds can be customized with glass panes on the roof to allow for plenty of natural light to flow in and help your plants grow in the optimal environment. #6. Home Offices. If you work from home, a metal building is a great place to get the privacy, peace, and quiet you need to do your job efficiently. These are just a few of the creative uses for metal sheds. Depending on the size of your prefabricate steel building, you can get a lot more out of your purchase at Metal Buildings Charlotte. We offer a variety of options to help you get the most bang for your buck, and steel is the best material if you’re looking for a flexible building option. It’s durable, economical, and easy to add on to if you need to change or expand the size of your building as its purpose changes and grows. Give us a call at (980) 365-6583 to get started on your steel building project!